For years, believers in the flat Earth theory have relied on such irrefutable arguments as, “When I look at the horizon it looks flat.” But now it seems they’re going to have to reassess their entire theory because, as reported by The Verge, when you zoom all the way out on the newly updated Google Maps it depicts the Earth as a globe. And as anyone who has ever been stuck in traffic will tell you, if Google Maps says it’s right, then it’s right. Sorry, flat earthers. 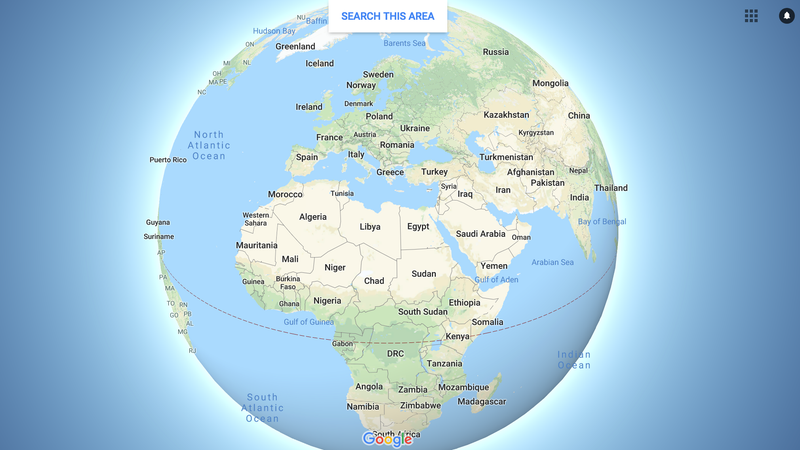 Previously, Google Maps rendered the Earth using a Mercator projection, which depicts the planet’s surface as if it were laid flat on the face of a cylinder and unrolled. While this makes it easier to see a map of the world all at once, it leads to some unfortunate topographical errors. Most notably, landmasses near the poles, like Greenland, appear to be larger than entire continents like Africa, when in reality they’re 14 times smaller. The new 3D globe model fixes these issues, even if it completely shatters the theory that Earth is a space island surrounded by a big water bubble or whatever. Luckily, this new rendering is only available on the desktop interface, so die-hard flat earthers can just stick to their mobile maps for now and remain blissfully ignorant of Greenland’s diminutive size. At press time, Kyrie Irving had yet to comment.